TH1100 – ST1 Double Strike Applications Both strikes are for use with TH1103 deadlatch or any other brand of narrow stile mortise deadlatch. 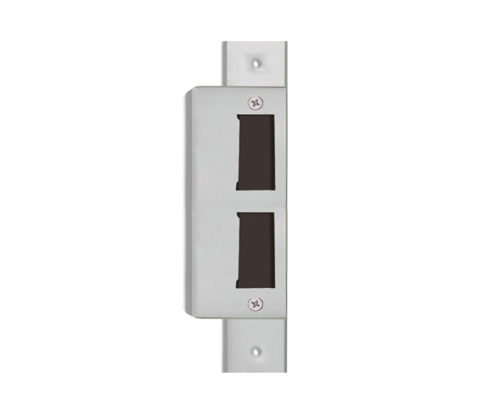 Order double strike when converting a narrow stile lock to a deadlatch, to cover elongated slot in aluminum frame. Order single strike separately if required.